Throughout January, February and March 2014, SoC worked with local community artists and dancers to create non-verbal visual theater addressing socially critical issues for young people in Sri Lanka. Their aim was to educate audiences about these issues through a non-confrontational, artistic medium. This project worked in all 4 corners of Sri Lanka, Jaffna, Batticaloa, Puttalam and Galle. Each center created performances on issues of importance to their communities and toured to schools and community centers across the island. The project empathized empowering participatory communities to identify inclusive internal solutions to conflicts caused by ever changing environments. 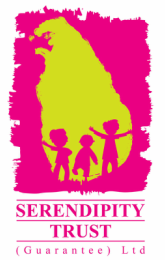 The young Galle participants spent a week at Serendipity House working with Project Director, Sulochana Dissanayake. They received training in puppetry and non-verbal theatre before developing and rehearsing their performance which was then toured to schools around Galle. Participating schools included Olcott MV, Dangedara Jayawardena MV, Paramananda MV, Suddharma College, Kalahe Sri Sumangala, Thotagamuwa Vijayabahu Primary, Ukwatta KV and Galle International College. Big thanks to Sulochana, all the talented participants and of course the many schools and students who actively took part. 'Shadows of Change' is a non verbal theatre group that trains community actors from selected parts of Sri Lanka to highlight socially critical issues through visual techniques without spoken language. Funded by the youth grants of US Embassy of Sri Lanka. SoC partnered with Viluthu centre for human resource development and the Serendipity Trust (Guarantee) Ltd to introduce non-aggressive dialogue through non-verbal theatre in Puttalam, Jaffna, Batticaloa & Galle. A maximum of 10 actors were chosen from each location for 6 days of training through which the main socially critical issues of that area is selected and depicted through a short play. The play was then toured over 2 days to selected schools and communities in the area to initiate dialogue vital for positive behavioural changes. 1. Puttalam - Early marriages, school dropouts, instable home economy, poverty, domestic violence, lack of desired employment & importance of education. 2. Jaffna - Teenage pregnancy, social ostracization, suicide & importance of education. 3. Batticaloa - Extreme poverty, school dropouts and importance of completing education. 4. Galle - Nuisance calls (culturally known as 'miss- calls'), incorrect use of social media and how technology can be used for personal and professional growth.